Summary: A new study reports a molecule made from DHA can trigger the production of a protein that protects against free radicals. Source: LSU Health Science Center. A team of researchers led by Nicolas Bazan, MD, PhD, Boyd Professor and Director of the Neuroscience Center of Excellence at LSU Health New Orleans School of Medicine, has shown for the first time that NDP1, a signaling molecule made from DHA, can trigger the production of a protective protein against toxic free radicals and injury in the brain and retina. The research, conducted in an experimental model of ischemic stroke and human retinal pigment epithelial (RPE) cells, is available in Advance Publication Online in Nature Research’s Cell Death and Differentiation. “These findings are significant because they show how NPD1, a lipid mediator made ‘on demand,’ modulates the abundance of a critically important protein (Iduna) toward cell survival,” notes Nicolas Bazan, MD, PhD, Boyd Professor and Director of the Neuroscience Center of Excellence at LSU Health New Orleans School of Medicine. “This protein, relatively little studied, turns out to be key for cell functional re-programing and subsistence.” DHA, found in fish oil, is an essential omega-3 fatty acid and is vital for proper brain function. It is also necessary for the development of the nervous system, including vision. A study from the Bazan laboratory published in 2011 found that DHA triggered the production of Neuroprotectin D1, a naturally occurring neuroprotective molecule in the brain derived from DHA. NDP1 bioactivity governs key gene interactions decisive in cell survival when threatened by disease or injury. Neuroprotectin D1 (NPD1) is a lipid messenger made from the omega-3 fatty acid docosahexaenoic acid (DHA) made on demand when cell survival is compromised. NeuroscienceNews.com image is for illustrative purposes only. “The further unraveling of the molecular details of DHA-NPD1-Iduna expression signaling may contribute to possible therapeutic interventions for retinal degenerations and ischemic stroke.” says Bazan. Funding: This work was supported by National Eye Institute grant EY005121, National Institute of Neurological Disorders and Stroke grant NS046741, National Institute of General Medical Sciences grant GM103340 and, in part, by an unrestricted departmental grant from the Research to Prevent Blindness, Inc., New York, NY. Image Source: NeuroscienceNews.com image is in the public doamin. 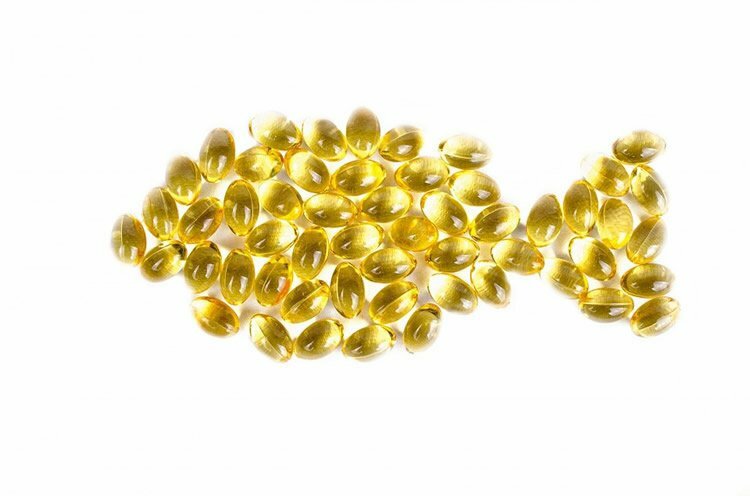 LSU Health Science Center “Fish Oil Component Helps Damaged Brain and Retina Cells Survive.” NeuroscienceNews. NeuroscienceNews, 23 April 2017. LSU Health Science Center “Fish Oil Component Helps Damaged Brain and Retina Cells Survive.” http://neurosciencenews.com/retina-fish-oil-brain-damage-6480/ (accessed April 23, 2017). Ring finger protein 146 (Iduna) facilitates DNA repair and protects against cell death induced by NMDA receptor-mediated glutamate excitotoxicity or by cerebral ischemia. Neuroprotectin D1 (NPD1), a docosahexaenoic acid (DHA)-derived lipid mediator, promotes cell survival under uncompensated oxidative stress (UOS). Our data demonstrate that NPD1 potently upregulates Iduna expression and provides remarkable cell protection against UOS. Iduna, which was increased by the lipid mediator, requires the presence of the poly(ADP-ribose) (PAR) sites. Moreover, astrocytes and neurons in the penumbra display an enhanced abundance of Iduna, followed by remarkable neurological protection when DHA, a precursor of NPD1, is systemically administered 1 h after 2 h of ischemic stroke. These findings provide a conceptual advancement for survival of neural cells undergoing challenges to homeostasis because a lipid mediator, made ‘on demand,’ modulates the abundance of a critically important protein for cell survival.